Before the Dreamz show started, we had decided to go for some food to fill up our tummies since we had skipped our lunches due to the rushing to catch a bus up Genting Highlands. After moving around the dining area in search of food, we tried out the latest in contemporary Asian cuisine, the Hou Mei Noodle House. At least that was where we could savor a unique fusion of Western and Asian Cuisine all in one place. 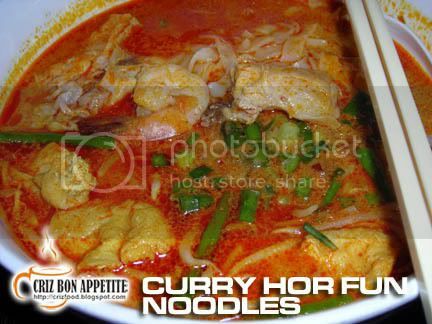 Since I can’t live without curry, I ordered the Curry Hor Fun Noodles (RM14.95). The dish came in a large bowl with 3 chunky pieces of chicken meat, 2 prawns, 5 half pieces of soy bean cakes (tau hoo pok) and some long beans. I would think it is a bit pricey but what else would I expect as I was in Genting. Of course food would be more expensive there. The soup base was spicy with a mild taste of lemongrass but it was not as spicy as I would like it to be although I did add lots of chili paste which was not hot enough. Moreover, I needed to add in some soy sauce to boost up the salty taste in it. Passable but not as tasty as those I can get from Penang. 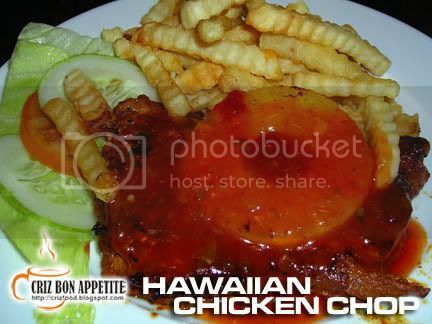 On the other hand, my friend decided to order the much recommended Hawaiian Chicken Chop (RM21.30). They have an average size of grilled chicken meat, topped with some sweet and sour gravy, a piece of canned pineapple and some vegetables. The portion and taste was fine but for me I would love to have some salad cream to go with my vegetables. Overall, the restaurant has the ambience to make one feel relax. We paid a total of RM44.85 for the meals, inclusive a plastic cup of cold Chinese tea (RM2.30) and sprite float (RM6.30). All prices have 5% Government tax and 10% service tax added in. 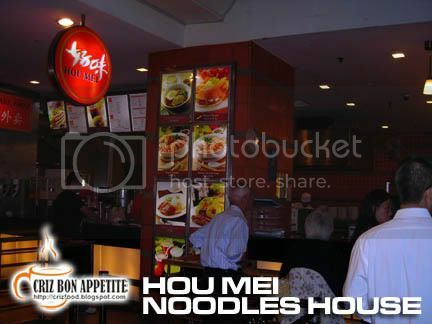 Hou Mei Noodles House is just next to the entrance of the Starworld Casino within the First World Hotel premises. wah … RM21 for the chop? but being Genting, a land where the rich throw their $$$, or rather, ‘donate’ them away to the Goh’s, I assume it;s understandable.